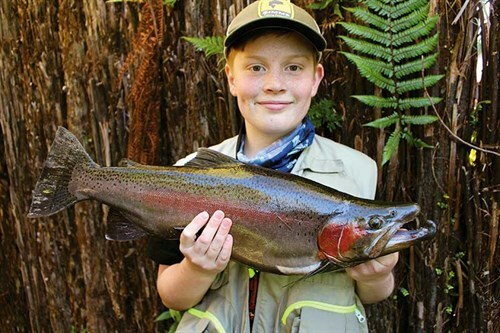 Photo tip — hold the fish close to the camera and it looks much bigger! 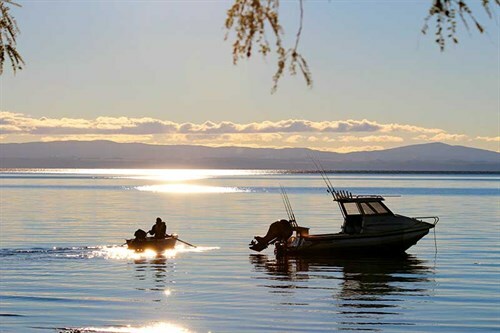 Lake Taupo and the surrounding rivers are our regular haunts and you’d be surprised how many styles of fishing you can choose from. There are two species of trout in the lake—rainbow and brown. Brown trout tend to be larger and more elusive and, in our experience, you’re more likely to hook one up river. Here are a few rules. 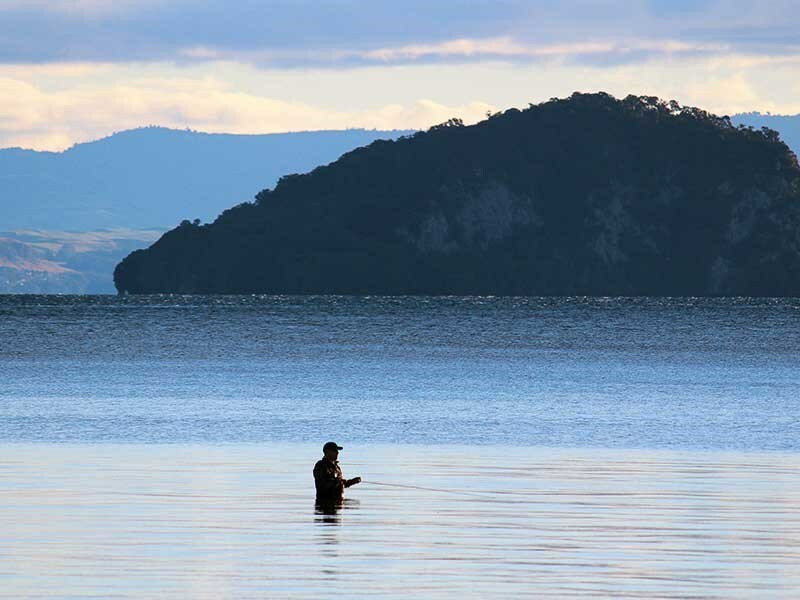 To fish in the Lake Taupo district (this includes the lake and the tributaries flowing into the lake), you need to buy a licence from the Department of Conservation. 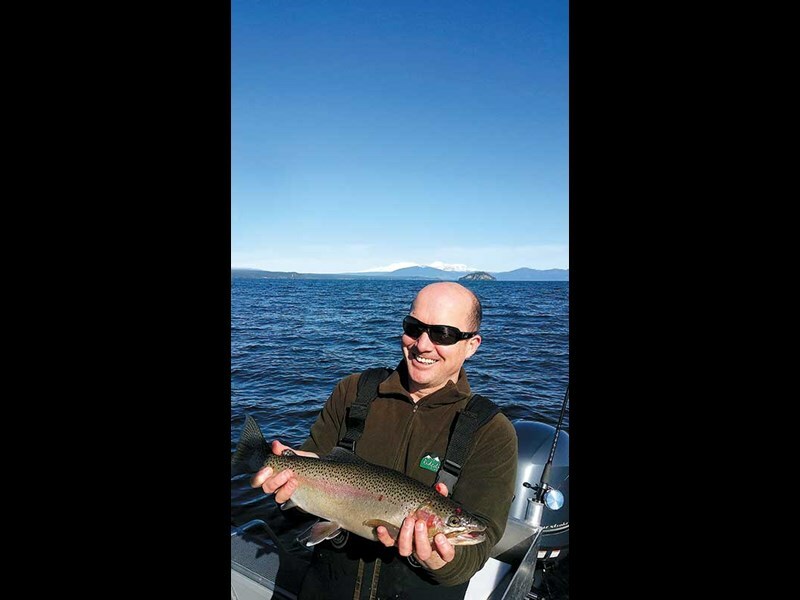 Despite trout being an introduced species, DOC is responsible for the trout fisheries. Fish and Game hold responsibility for fisheries across the rest of the country so visit their website for licence information. 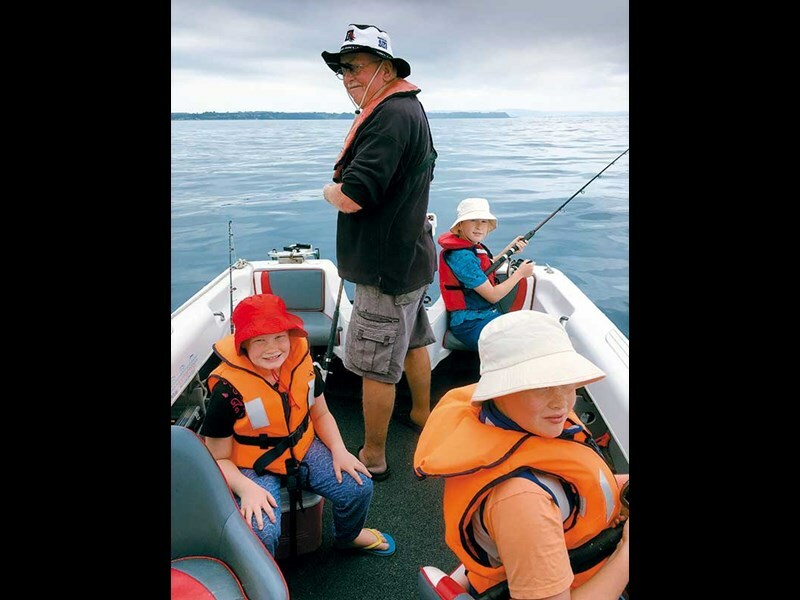 The Taupo fishing season begins on 1 July each year and a new licence is required for each season. You can buy these online or from a variety of retail outlets around Taupo and Turangi. 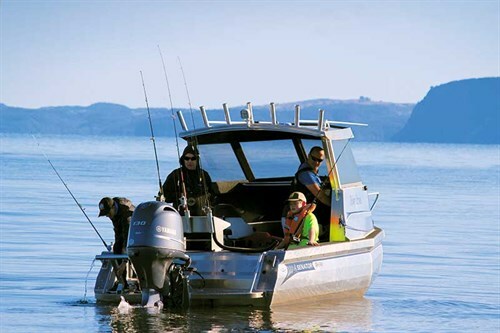 With the licence, you should get information about fishing regulations. This outlines the rules, from the minimum length of fish and catch number to the legal types of fishing and fishing line. 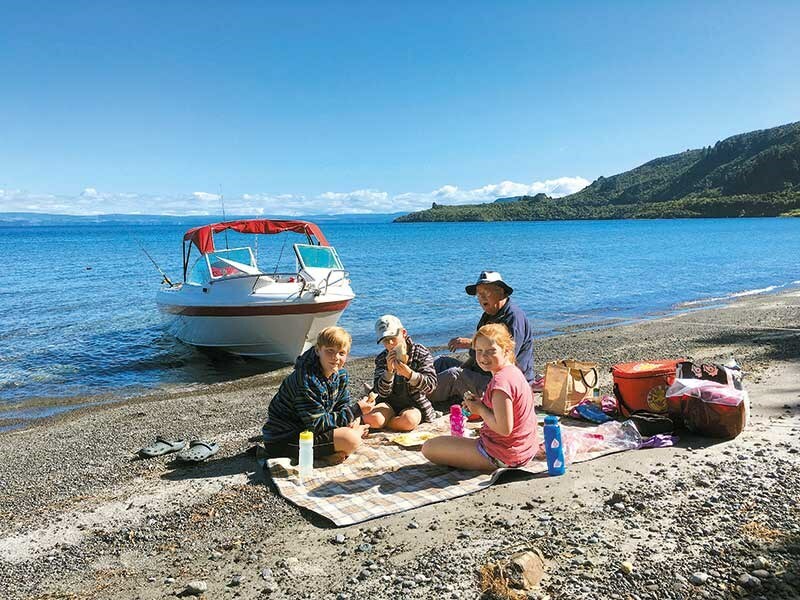 Boats of all sizes crowd popular bays of Lake Taupo over the summer months. If you don’t have a boat, there are many charter businesses offering fishing experiences. Once out on the water, trolling, harling, and jigging are the most common styles of fishing. Needless to say, there are different types of line and reels required for different styles of fishing. There is a lot of online information about this, and no doubt, it could be easy to go a bit overboard on gear. Trolling and harling both involve dropping a weighted line close to the bottom of the lake as the boat moves slowly at walking speed. The line is then pulled along behind the boat. Most boats have a smaller ‘fishing’ motor that keeps them moving slowly across the water. Lures or fishing flies can be used when trolling or harling. The main difference between the two is that harling is done to depths of around 10 metres whereas trolling targets much deeper fish. Harling is more successful during early mornings or evenings. Jigging can be done at sea or on lakes, but how it is done is quite different. At sea, a ‘jig’ lure is used, while in a lake, up to three small fishing flies are attached to a line that has a lead sinker attached to keep the line on the bottom. The boat is anchored, the line dropped to the bottom, and the line jiggled up and down in small movements. Most fish are caught on or near the bottom. As the boat is anchored, jigging is a much quieter and more peaceful option, until you get a strike, and then the excitement begins! Jigging is also perfect for fishing from a kayak. 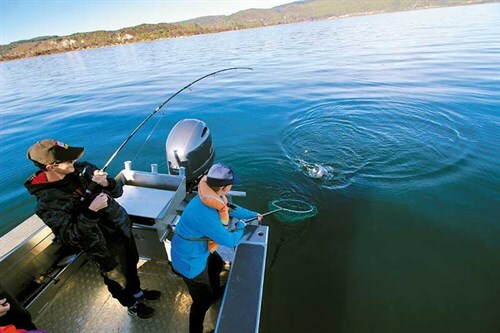 Spinning is a fun and active style of fishing and is allowed in many of the lakes in the Taupo Fishing District, Lake Taupo itself, and also Lake Otamangakau and Lake Kuratau. Spinning involves casting out a line and then winding it back in. The spinning lure is designed to flutter about as it moves, attracting the fish. This is also a popular coastal and sea fishing technique. 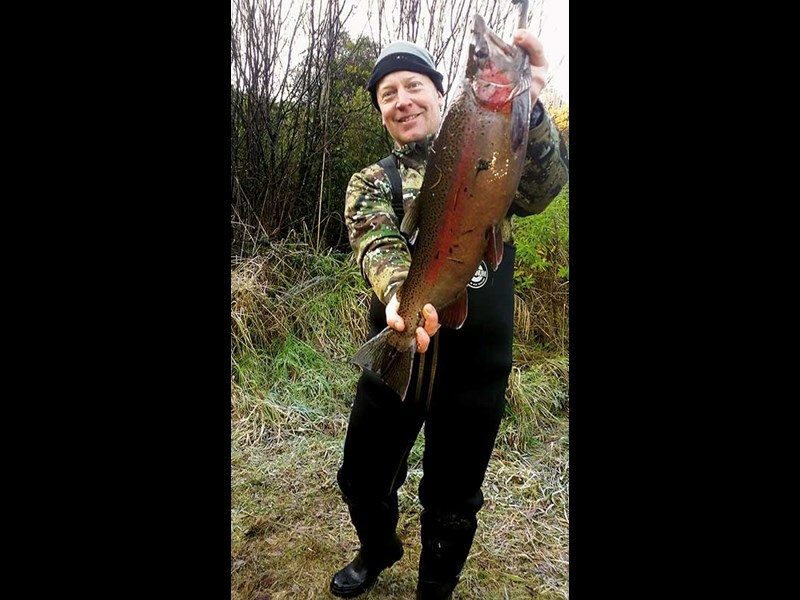 Keep in mind that streams and rivers are generally fly fishing only, and to fish from the shores of Lake Taupo, you need to be 300 metres away from these river mouths. River fishing uses fly rods and requires the skill of casting. This takes time, practice and guidance. Lots of first-time river fishers benefit from the advice of a fishing mate or a paid guide. 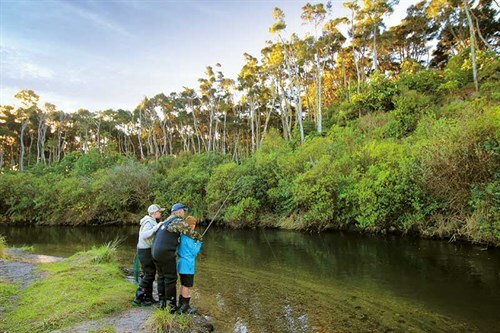 Fly-fishing offers the opportunity to relax in a remote, peaceful area or join a few other fishers at a river mouth such as the Waitahanui and Tongariro rivers. Many fly fishers have a favourite fishing hole and it can be disappointing when another fisher beats you to that spot! Wet fly fishing is the most popular type of river fishing. Then it’s a choice of sinking line, floating line, weight of rod, flies to use, the list goes on. You only have to walk into a fishing shop to see how many options of rods, lines, flies and lures are available.It’s enough to give you a headache, good advice from an expert is essential. And don’t forget the waders, to have any real success river fishing a good pair of waders is a necessity, keeping you dry and warm and able to access off-track areas of river. 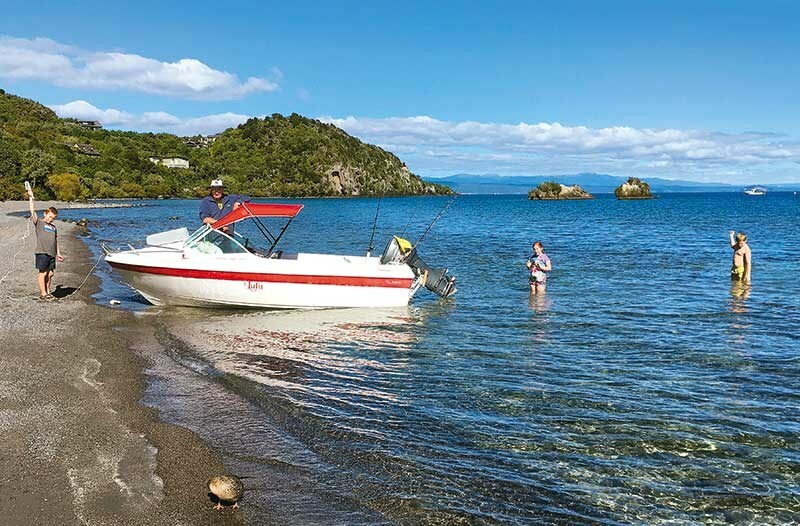 Fishing on Lake Taupo is a year-round recreation with no seasonal limitations. But many of the smaller lakes and the rivers in the district have seasons, particularly for the upper reaches of the rivers. 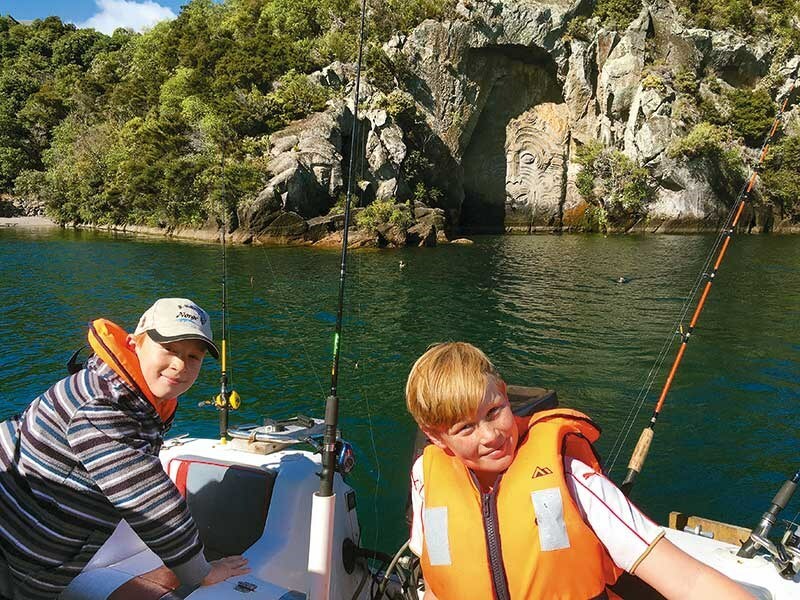 Some smaller rivers are completely closed to fishing, so it pays to check out the Taupo Fishing District map on the DOC website beforehand. A final tip—take your cleaned and gutted fresh trout, open it up, remove the backbone, sprinkle it with brown sugar, salt, and any other marinade you enjoy, and then hot smoke it. Yum!